We had a great Labor Day weekend and now that Summer is winding down we are finding ourselves quickly being thrown into the start of fall activities. Gymnastics has started back up, soccer will begin this weekend and of course, college football season. (GO STATE!) Even though they had a little bit of a rocky start, we'll still be cheering them on! 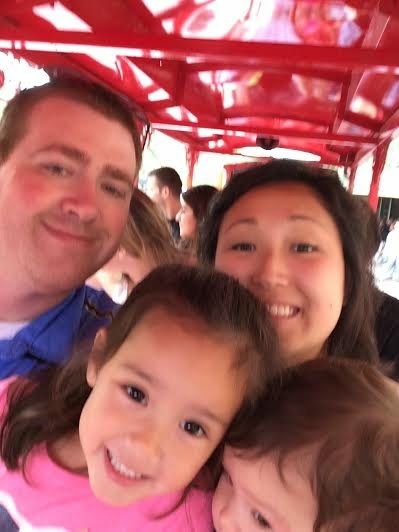 We decided sort of last minute to take a little road trip to Omaha this weekend and visit one of our family favorites- the Omaha Zoo. We decided to make a night of it and stay at a hotel too. 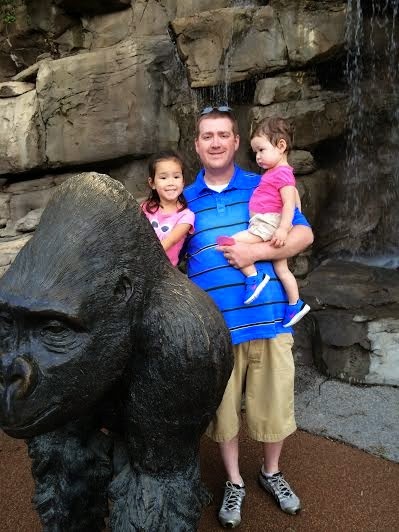 Everyone had fun at the zoo- no naps included- as well as a fun night staying in a hotel. 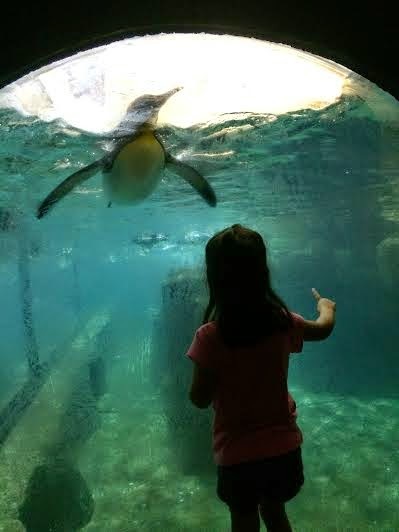 Sophia checking out the penguins- one of our favorite exhibits! We woke up Monday morning, happy and ready to go. We ventured to the new outlet mall a little past the zoo and met up with my friend, Chelsea to do a little shopping. We scored some great deals and the weather was perfect. We then decided to go out to eat before heading back home. This is where things got crazy. Remember when I wrote this post and mentioned how things aren't always as they seem? This is the perfect example of that. This was a day in parenting where I hang my head and accept defeat. Both girls fell asleep on the way to the restaurant and had to be woken up. Despite being woken up, we started off great, we sat down and the girls both quietly colored. Then the food came. And neither child wanted anything to do with their food. Saidey was sitting in her chair, pulling the straw from her milk cup out, causing milk to spill and then getting super angry when I took it away and put it back in the cup. Repeat this process three or ten times. And don't you dare try to take the cup completely away or extreme screeching will ensue. And then Sophia started running laps around the table. I'm guessing she was slap happy from lack of sleep and got a second wind. Sophia was warned a few times that we need to sit down and even though she didn't want to eat she needed to sit and let the rest of us eat. It was all downhill from there. Sophia started getting upset, crossing her arms and frowning and giving us her "I'm mad at you and don't like you right now," look. I will say, given what I do for a job, I have done a great job at teaching Sophia how to identify feelings. A move that sometimes does NOT work in my favor. Especially when she gets mad in public and has zero qualms about letting me know exactly how and why I have made her mad. Everything we tried- reasoning to being the tough guy was met with a very clear, "NO." and the look that said "I'm testing you in this very public restaurant." Will decided to take her out to the car before things got worse. Saidey then decided she didn't want to sit in the hair chair because "What the heck, if Sophia isn't going to sit, why should I?" I swear sometimes they are running a conspiracy against us. She then wanted to drag her blanket all around the restaurant and didn't want to sit down either. And began to arch her back and scream in protest when I picked her up. Between wrestling an 18 month old and her blanket, and Pinkie Pie (our new pony we picked up along the way), trying to eat and continue conversation with my friend- in the back of my mind I knew this probably didn't look so great to my friend in which I made this post about. Will and Sophia eventually made their way back and along with them, the attitude. Once we paid our bill and were on our way out, Sophia refused to get up and walk. She sat on her knees and when asked to stand up, promptly and very loudly, might I add, exclaimed "NO." complete with arms crossed and angry face. In the middle of the restaurant. I was growing more and more embarrassed about my four year old's behavior. But at this point, it's hard to even say what would have been the best route to go because any way you go, a tantrum is waiting to happen. I also didn't even know what had prompted all of this behavior anyway so I couldn't even bribe her into behaving. By the time we made it out to the car, Sophia was crying and I managed to stay calm while I hugged my friend and we said our goodbyes. Once in the car, I had to do my best to keep my face forward and not come undone. This was an experience with parenting in which I actually told my daughter that I was going to drop her off on a cow farm. Yup, I said that. 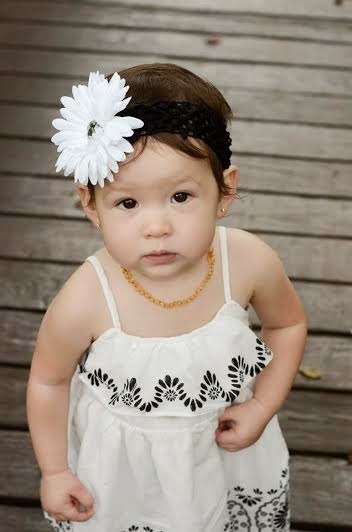 I think people who call it the "Terrible Twos" obviously have not raised a child. 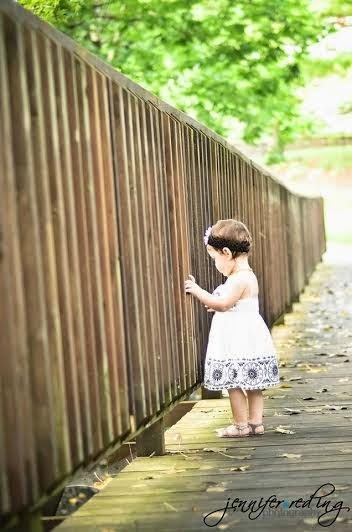 The two's were a walk in the park- Sophia was developing her independence, sure, and threw a little fit here and there if she couldn't get her shoe on by herself. But generally, I enjoyed the two year old stage. This- the attitude, the defiance, the testing- have greatly peaked during the three's and now, apparently, what I have to look forward to in the fourth year. I follow a blog- Renegade Mothering (if you are sensitive to swearing, beware) and she posted this and it explains it perfectly and coincides quite nicely with what we are experiencing a little of. These are the times when I jealously look at my friend getting into her car and wish I was leaving right along with her. But then when both kids are settled in their car seats and falling asleep and I look back at them, with their long eyelashes settled on their cheeks, dried tears staining their faces, and arms wrapped around the beloved blanket, I remember. I remember that the tantrums, the attitude and the craziness are worth it for these moments. These sweet, although rare moments of quietness and then the moment when they wake up and exclaim, "Hi Mommy," with a huge smile, completely forgetting that just less than two hours ago she hated me. All the craziness of earlier melts away. THIS is what makes it all worth it. 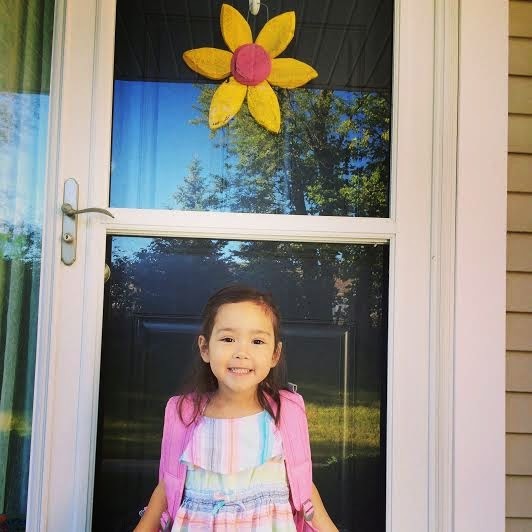 On another note, Sophia had her first day of Preschool today. She has been so excited for this moment- getting a new backpack, buying new school supplies and talking about Ms. Amanda and all the new friends she is going to meet. She dropped off great and it has been amazing to watch her slowly come out of her shell and become confident in herself. We had to take the obligatory first day of school picture on the front porch before leaving. 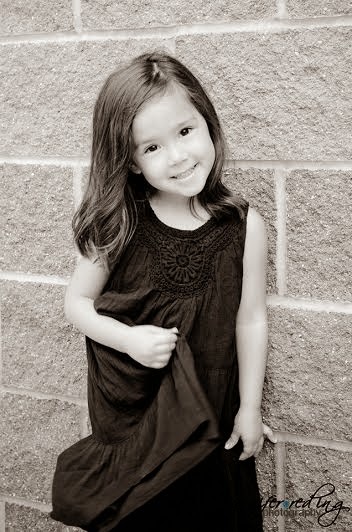 We also had the girls' pictures done and we are in LOVE with all of them. 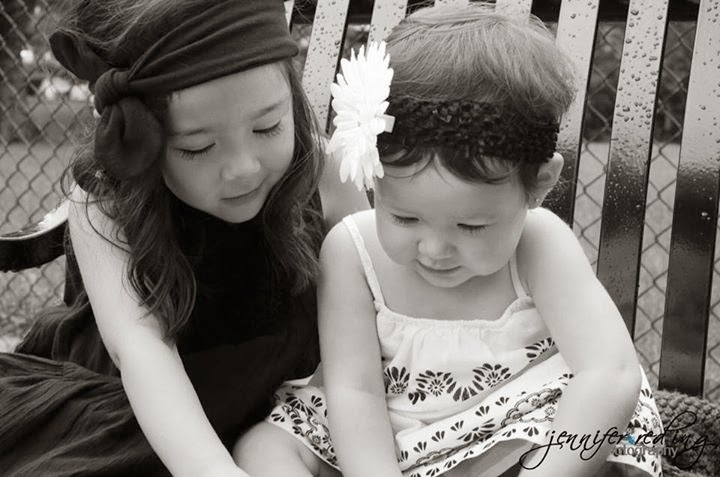 Jennifer Reding has done them since Sophia was one and we just love her work. I can't wait to share our favorites!